Section1. Legislative Findings. 1. The City Council hereby finds as follows: This Ordinance deals with the adoption of aesthetic guidelines for deployment of wireless telecommunications facilities, including small cell wireless facilities. It will enact only minor changes in land use regulations, and its adoption will not allow for the development of any new or expanded wireless telecommunication facilities anywhere other than where they were previously allowed under existing federal, state and local law. 2. California Government Code § 65853 states that a zoning ordinance or an amendment to a zoning ordinance, in which the ordinance or amendment changes any property from one zone to another or imposes, removes, or modifies any regulation listed in Government Code § 65850, must be subject to a public hearing and recommendations by the Planning Commission prior to introduction of the ordinance by the City Council. Regulate the use of buildings, structures, and land as between industry,business, residences, open space, including agriculture, recreation, enjoyment of scenic beauty, use of natural resources, and other purposes. The location, height, bulk, number of stories, and size of buildings and structures. The size and use of lots, yards, courts, and other open spaces. The percentage of a lot which may be occupied by a building or structure. The intensity of land use. Establish requirements for off-street parking and loading. Establish and maintain building setback lines. Create civic districts around civic centers, public parks, public buildings, or public grounds, and establish regulations for those civic districts. 4. Because the proposed Ordinance does not regulate any category of regulation enumerated in Government Code § 65850, the introduction and adoption of this Ordinance does not first require a public hearing before and recommendations from the Planning Commission. Section2.Chapter 12.10 entitled, Wireless Telecommunication Facilities, is hereby added to Title 12 of the City of Fort Bragg Municipal Code and shall read as follows:Chapter 12.10.Wireless Telecommunications Facilities§ 12.10.20 Promulgation of Aesthetic Guidelines for Deployment of Wireless Telecommunications Facilities in the City of Fort Bragg . Aesthetic guidelines for wireless telecommunications facilities shall be adopted and amended by the City Council by resolution. The first such resolution shall be adopted and become effective on or before April 15, 2019. On September 26, 2018, the Federal Communications Commission adopted a Declaratory Ruling and Third Report and Order (“FCC 18-133”) regarding small wireless deployment and interpreting the requirements imposed on local governments by the Telecommunications Act of 1996. Regulations published in the Federal Register implementing the Declaratory Ruling became effective on January 14,2019. There has been considerable debate as to the lawful reach and affect of the Declaratory Ruling FCC 18-133 between cities and the telecommunications industry and it has been prudent for the City to obtain the benefit of all available information and analysis on this topic prior to adopting this ordinance. Litigation involving local control over deployment of wireless communications facilities continues and resolution of those matters had and continues to have the potential to impact the City’s drafting of appropriate aesthetic guidelines. 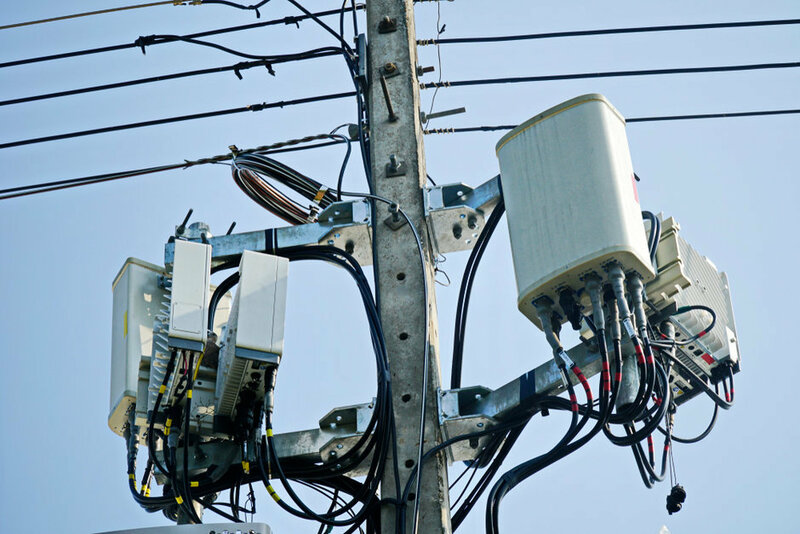 If the City does not have aesthetic guidelines for small cell wireless facilities in place by April 15, 2019, the City may lose the opportunity to enforce aesthetic requirements that will protect the public health, safety, and welfare. Section 4. Conflicts. The provisions of this Chapter, (12.10) shall control where they may conflict with those of “Coastal Land Use and Development Code, Chapter 17.44 –Telecommunications Facilities”; or “Inland Land Use and Development Code, 18.44 –Telecommunications Facilities”. Where the Fort Bragg Municipal Code may conflict with the requirements of Federal Code or Regulations, those Federal requirements shall control. Section 5. Severability. If any section, subsection, sentence, clause or phrase of this Ordinance is for any reason held by a court of competent jurisdiction to be invalid or unconstitutional, such decision shall not affect the validity of the remaining portions of the Ordinance. The City Council of the City of Fort Bragg hereby declares that it would have passed this Ordinance and each section, subsection, sentence, clause and phrase thereof irrespective of the fact that one or more sections, subsections, sentences, clauses or phrases may be held invalid or unconstitutional. Section 6.CEQA Compliance. The adoption of this Ordinance is not subject to CEQA pursuantto Sections 15060(c)(2) and 15061(b)(3) of the State CEQA Guidelines, because it will not result in a direct or reasonably foreseeable indirect physical change in the environment and because there is no possibility that it may have a significant effect on the environment. In addition, wireless facilities themselves are exempt from CEQA pursuant to State CEQA Guidelines Section 15305, which exempts minor encroachment permits, and Section 15303, which exempts the installation of small equipment and facilities in a small structure.